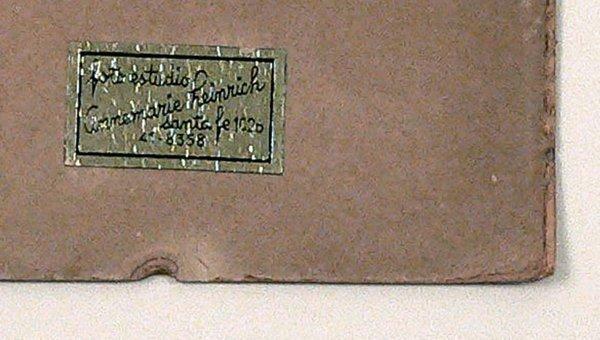 Signed on the mat by Heinrich; her Santa Fe, Argentina studio label on the mount, verso. The subject is Harald Kreutzberg, an important German modern dancer and choreographer best known for solos that combined dance with mime. Inscribed on the mount by Kreutzberg 'To Bernardo Triverri/ with many thanks and I hope 'Auf Weidersehen.'" 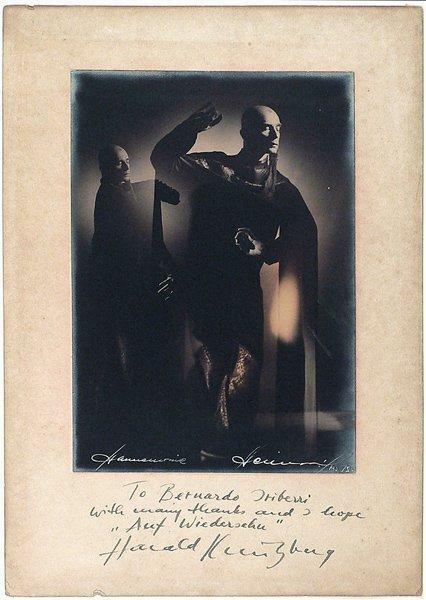 Between 1930 and 1993, German-born photographer Annemarie Heinrich was the main figure in Argentine photography, famous for her portraits of artists and film stars. She was much sought after for her stunning portraits sculpted with a light so lucid they often seem more like sculptures of marble. Her work achieves an otherworldly Surrealist aura that places her in the mainstream of great 20th-century Latin American photography. Heinrichs's work, which rivals that of the great Hollywood photographers such as George Hurrell, has been exhibited throughout the world and has been honored with countless awards. Items Similar To "Annemarie Heinrich: Harald Kreutzberg Two Times"